Getting in shape and staying in shape can be viewed as having a two pronged approach. In the order of importance I would say diet and exercise are 1 and 1A. You can certainly get in great shape without every using a supplement, but if budget allows there are some interesting supplements that can likely help you along the way. To be clear, they are called ‘supplements’ for a reason…and that is because they’re not meant to replace diet, or replace exercise, but only to supplement the work you are already doing in the kitchen and the gym. So what is a supplement anyway? Do you even know? The definition of a supplement changes from country to country as does the requirement for scientific proof of the efficacy and safety. The concept of ‘supplement’ is a legal definition based on the governing bodies of your given region. A supplement can be legal for sale in one country and illegal in the very next country over (United States vs Canada for example). 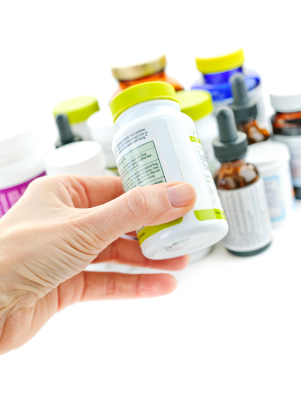 The legal definition and status of a supplement can change throughout it’s lifecycle as well. In some cases a supplement can be in a grey area where it does not have government approval for sale, but it’s not quite illegal yet either. In these cases the supplement in question is being sold while it’s legal definition is ‘pending approval’. In some cases a product can be determined a drug and thus illegal for sale as a supplement. If you’ve been a regular consumer of sports/bodybuilding supplements over the past decade then it’s likely you have taken a product that has been re-categorized as a drug and thus illegal. In some sense you could even say that you’ve been taking a ‘banned’ substance that would definitely have you failing a drug test in any organized sport! Supplement manufacturers move fast getting new products onto the market. So fast that in some cases regulatory bodies cannot keep up with the pre-market regulatory review process to determine if a product is safe and effective for sale. Some products can gain a significant market share while regulators scramble to figure out what is being sold and if it should be classified as a supplement or drug. This is a dynamic struggle between supplement manufacturers and regulators, and it’s been going on since supplements hit the market. As long as supplement manufacturers can find new ingredients and new derivatives if existing ingredients there will always be this grey area between what is known and studied, and what is new and not fully understood yet. 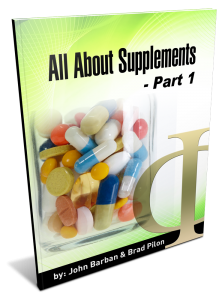 In this first part we discuss the definition of what a supplement is, how the industry got started, and what it has evolved into.